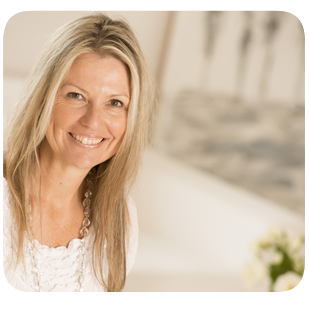 Our story begins with me, Debbie Cope, founder of Purity Fragrances. From a long held passion of natural products and alternative health practices, 2011 sparked an opportunity for me to seize a dream and turn it into my reality. I have always loved fragrance, and have used pure essential oils in many forms, for many years. As I have a sensitive body and skin, I have replaced many of my daily products, both personal and household – with natural and organic alternatives, many of which I make myself. In recent years there has been an ever expanding selection of natural products available, through the innovation of New Zealand and international companies. This has had a huge positive impact on both me and my family, improving our health and wellbeing. However, the only product I couldn’t seem to purchase – was spray fragrance. Several years ago, after commenting in a health store that I used pure essential oils to make my own fragrance, the suggestion was made that this type of fragrance was needed, and that I should develop and supply one myself. That was a defining moment for me. I am thankful to that insightful woman. I was looking for a new direction. Her comment stayed with me and ignited the spark I needed to pursue my dream. The birth and development of Purity Fragrances has been a challenging yet wonderful journey. At times it has taken everything I possess to keep moving forward. The gift of it has been that, it has allowed me to combine my love of natural products and fragrance, with my passion for being able to help and inspire others to live a healthy and happy life. I have been able to do this, as I have had the support of my soul mate and husband, and my two strongly encouraging sons. Further, through a much loved network of friends, family and holistic professionals, coupled with meeting many inspiring, talented individuals, these people have helped me, and continue to help me. The result is – Purity Fragrances. To everyone, I give my heartfelt thanks. I am very grateful to have had the opportunity to put my heart and soul into something that I believe in so strongly, and that I am so completely passionate about. And so the pursuit of my passion continues – I have many plans for Purity Fragrances. The first is to launch the first two fragrances of the range into the NZ market. My wish is that you receive as much pleasure, inspiration and enrichment from the fragrances, and the affirmation cards, as I have received – in creating them. I would love to hear your feedback, with your thoughts on my first two fragrances. Go well, enjoy life. I wish you health, happiness and pleasure.